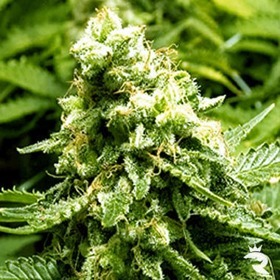 Advanced Seeds Feminized | Buy the Best Advanced Seeds Right Here! If you're looking for powerful feminized seeds that always deliver, check out Advanced Seeds. These forward thinkers constantly refine their techniques & processes to improve their cannabis seeds year after year. They were amazing to start, but Advanced Seeds is a true superstar today! Secure Your Future with Extremely Stable Advanced Seeds Feminized Beans! 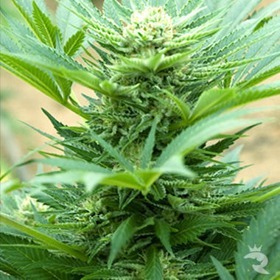 AutoKaya 47 Feminized offers quality & quantity! This mix infuses the original Kaya 47 with just enough Ruderalis to turn it into an autoflowering seed without watering down the Sativa-dominant power! If your green thumb is itching at the very thought of an autoflowering strain, check out Automatik Mix Feminized! This option lets you try several autoflowering strains for one low price. In other words, the Advanced Seeds Feminized Collection is sheer perfection. This breeder stops at nothing to ensure the highest level of quality, stability and power whether they're offering traditional feminized seeds or a breathtaking AutoFem. Advanced Seeds coddles every cannabis seed from the very beginning of the breeding process all the way to the final packaging. To ensure absolute genetic purity, they isolate each strain in its own sterile grow room and never treat their developing seeds with anything but the finest all-natural, organic fertilizers and insecticides. No toxic chemicals ever touch these babies! Although Advanced Seeds won't give up their trade-marked feminization secrets, but they will say that their process is completely safe and doesn't use any genetic manipulation. With these feminized seeds, your safety is at the top of the priority list, and you gotta love that! Now, for the good stuff! If you're shopping the Advanced Female Feminized Line, you'll find true legends like Top 69 Autoflowering, a rapid automatic that gets the job done in just 69 days from seed, and Black Diesel Seeds, an improved NYC Diesel that's even greasier and more pungent that it's famous mum! Drooling yet? If you're in the market for a Rhino-approved feminized seed, you won't be disappointed by anything from the Advanced Seeds Feminized lineup, but we can make life just a little sweeter. Rhino Seeds guarantees every single feminized seed will make it to her destination, and no one will be the wiser. We're proud to offer our customers 100% discreet packaging and an unconditional delivery guarantee with each & every order. Order Your New Advanced Seeds Feminized Seeds from The Rhino Today with Complete Confidence!